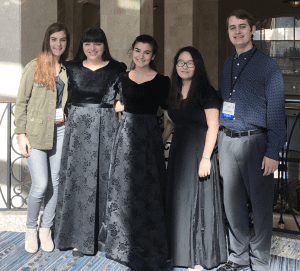 This past week, the All‐State Music Conference gathered some of the most talented students in the state for one of three main programs—All-State Orchestra, All‐State Band, and All‐State Choir. Therefore, these WA students who traveled to Tampa are among the best in the state. They met for three days of rehearsals before putting on a full program at the Tampa Convention Center. 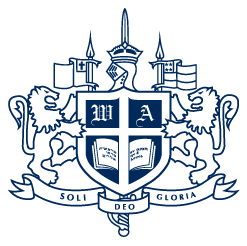 Alicia An (sophomore) played the violin and performed in the All‐State Honors Orchestra. We had three students in the All‐State Choir. Christine Kamm (senior) joined the Sight‐Reading Choir while Caroline Cespedes (senior) sang in the Women’s Choir, and Rachel Castillo (sophomore) sang soprano for the Mixed Choir. Both Mr. Kent Barnhill, WA Choir Director, and Mr. David Schwartz, WA Orchestra Director, also attended and helped prepare our talented students. Congratulations to all four students for receiving this honor and representing WA as some of the best performers in Florida!